We are one of the leading manufacturer, exporter, supplier, trader & service provider of Sandwich Panel Cabin for Site Offices. The offered range is available in various specifications, which fit the diverse requirements of the clients. We are one of the leading manufacturer, supplier, exporter, trader & service provider of Sandwich Panel Cabin for Site Offices. 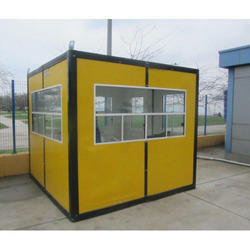 Looking for Sandwich Panel Cabin for Site Offices ?